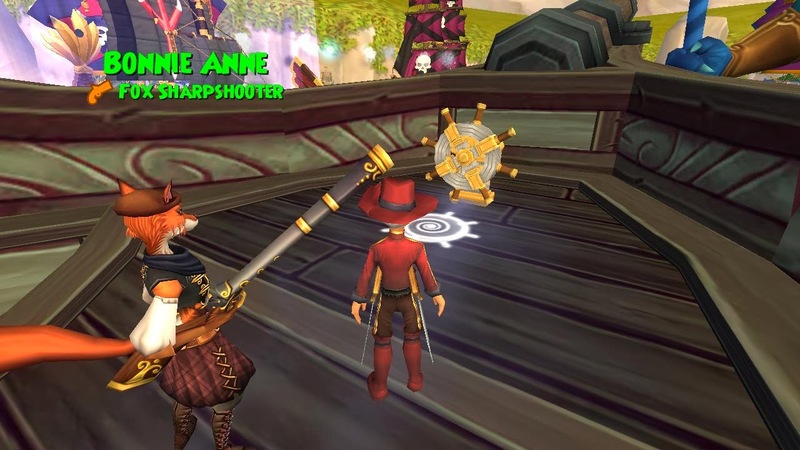 I've been leveling on the game a lot lately and I hope you don't mind reading all of my new Pirate101 Blogs in the next few days. I have plans to make as many blogs as I can before I'm on vacation next week! I've been leveling on my Swashbuckler a lot more than I should but it's a lot of fun questing on him as much as I did when I created him. I think I've made more blogs this month than any other month and that's shocking. I made a blog yesterday that was not only the 50th blog post of the year, it was also the longest Edward Cringle post I've ever made.. at least I think it was! I like making new blogs about what I've been doing on the game and will continue this the entire year - however long I blog which will be a long time! I might be blogging a lot more than I should but it's really a fun hobby of mine and I will continue blogging as much and as long as I can. :) I hope you all stick around to read all of my blogs and if not, I hope you have enjoyed all of my recent blogs I've made.. Now let's get started on this blog! 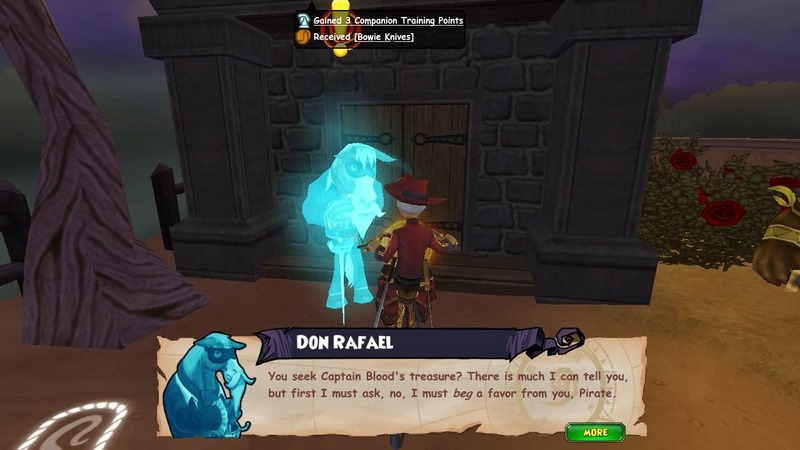 On my last blog before questing yesterday, I had to help Don Rafael with a favor before he could help me with Captain Blood's treasure. I found out that Don Rodrigo was El Toro (Don Rafael gave the mask to his adopted son, Don Rodrigo, so it has to be him) and he had a daughter named Carolina. I'm not going to tell you everything that happened on my last blog post so you'll have to read it! I will tell you that I have to find Carolina since she left Santo Pollo and Don Rafael wants to reunite Carolina and El Toro. I had to find a ring and defeat a lot of cowboys, scorpions and fish to get the ring since they were kind of in my way! :P I need to give the ring to Carolina once I find her. 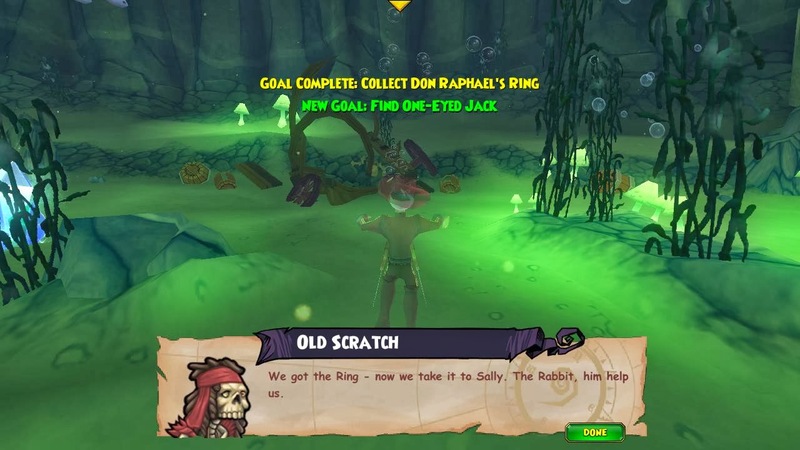 After I defeated the fish I had to talk to One Eyed Jack. He told me that Carolina, Mustang Sally, was on a top secret job and that a rat named Rosco was the one that hired Mustang Sally for the job. I had to sail to Scrimshaw to talk to Rosco to see if he knew where she was. Rosco told me that Mustang Sally's boss was on a Monquistan Ship (the ship above :P) and he might know where she is. 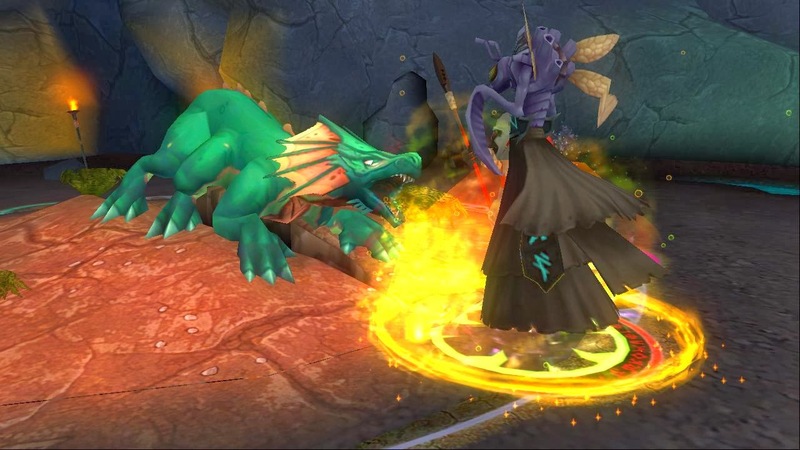 I found out that Mustang Sally's boss was Gortez, a gorilla I had to defeat long ago in Gold Mine, Skull Island. Later I let him free in Monquista and we've been friends since then so I didn't have any trouble boarding the pirate ship. :D Gortez told me that he hired Mustang Sally to free someone from the Fort Elena Prison. 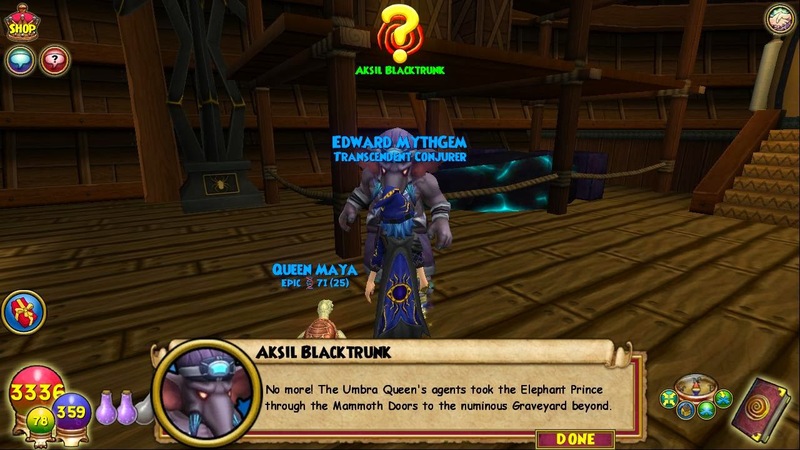 I had to ask Scurvy Dog privateers for help getting through a blockade in Skull Island. 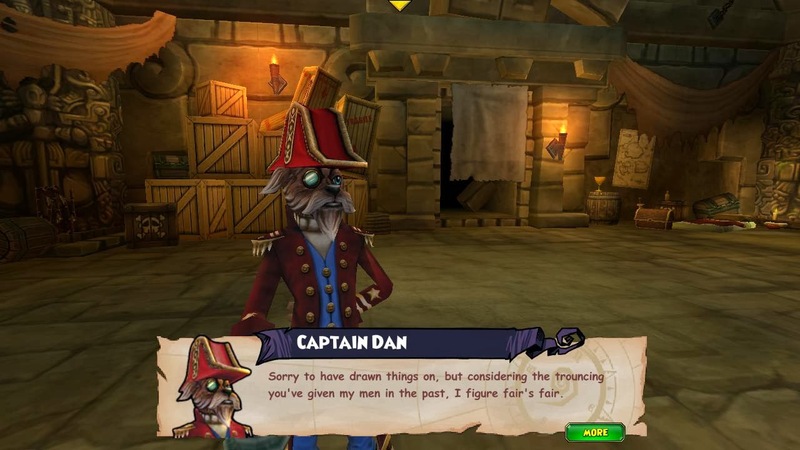 I met Captain Dan and he told me that he met Mustang Sally but she took the only papers that will help me get through the blockade to Port Regal. He told me he wanted me to bring back some fish and fresh fruit from Monquista ships and then he'd help me get through the blockade to Port Regal. 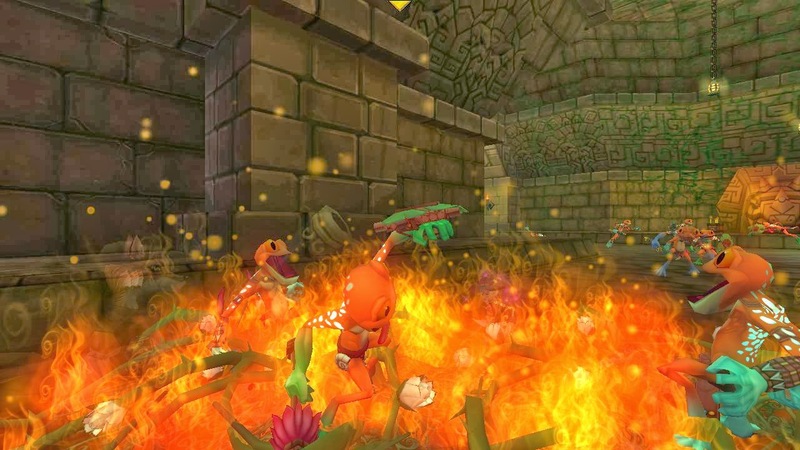 I had to collect 10 fish in Skull Island and then defeat 6 Monquistan De Monte Ships in Monquista for fresh fruit. The fish wasn't bad since I didn't have to defeat anyone but the ships were hard to defeat. Each time I tried sinking a ship my ship health turned yellow and I had to sail backwards so I wouldn't be pulled aboard. 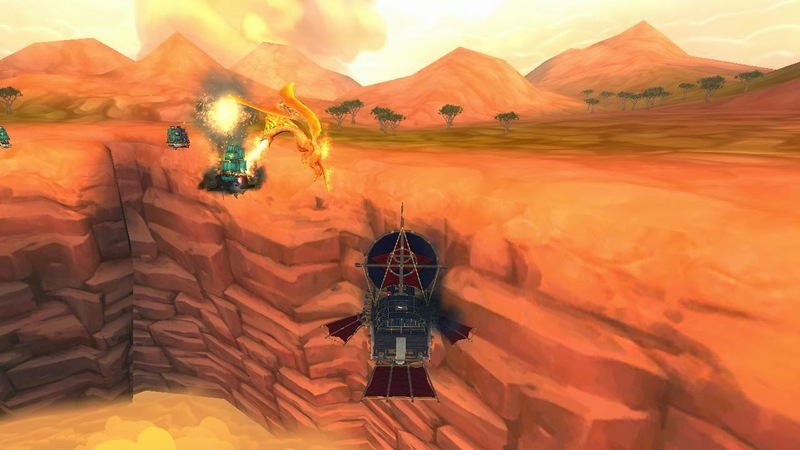 I was pulled in one time but it wasn't so bad since I had a few fire traps on their ship from my fire dragon. I guess it wasn't bad but I'm happy I didn't die or anything when fighting them. Someone did help me with the 2nd one but I guess they logged out afterwards because I didn't see them after that. Thank you whoever you were that helped me with the ship! Well that's it for today, thanks for reading everyone. 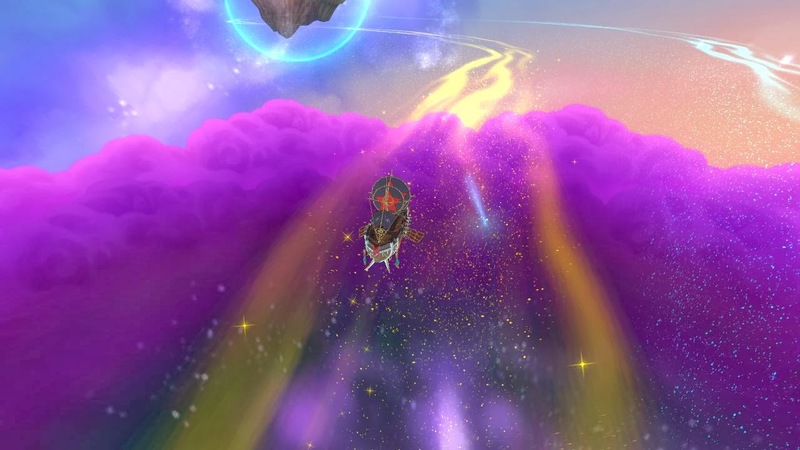 I have one last beautiful screenshot heading back to Monquista to defeat the Pirate Ships below. Enjoy! I know I should have attach it above but thought it would make the perfect last photo of the day. 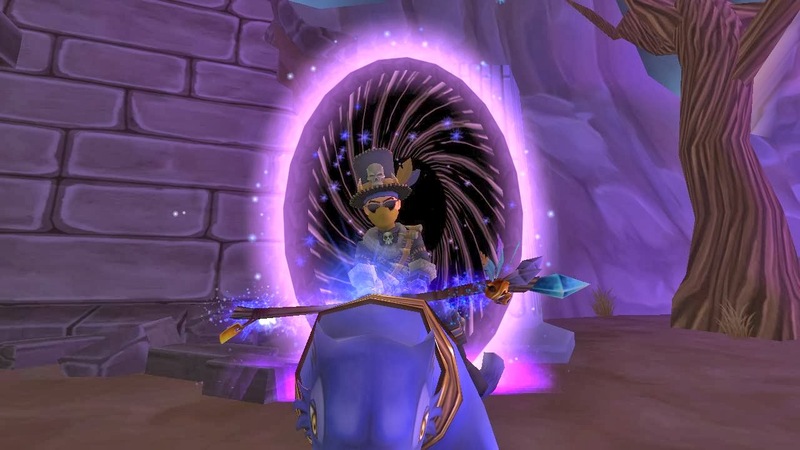 Thanks for reading everyone and until my next blog post, I'll see you around the spiral! I haven't made an update post in awhile, so I decided to update you all today on what I've been doing on the game with my Witchdoctor and Musketeer. I always make swashbuckler posts (I will make another EC post later today) and don't make too many blogs on my other characters. I'm happy I can finally make a post today! 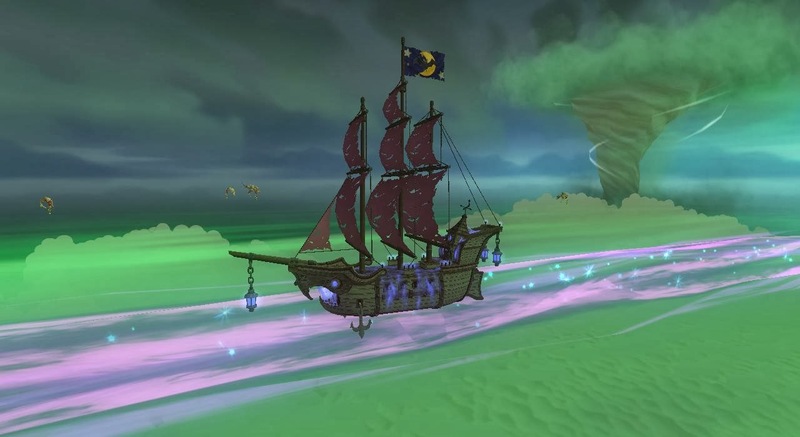 I've been a busy pirate lately, from going to nautical parties to completing worlds! I don't think I have been spending as much time on the game as much as I want to before I go on vacation. I really want to start playing on the game and making as much blogs as I can before I do go on vacation. I don't know about El Toro but if I was where he was, I wouldn't make it long! That fire looks like it would hurt someone's feet and above. Today I had a chance to level with Autumn Walker to get our musketeers through Cool Ranch. 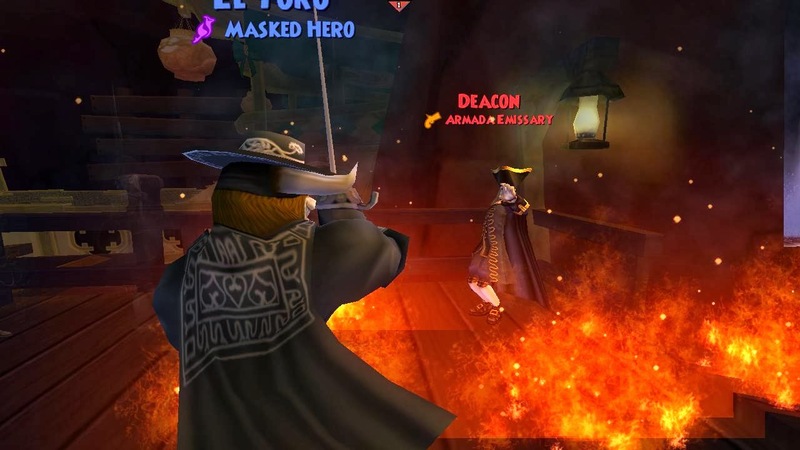 We found Captain Blood's gold and defeat Deacon a first time! I don't think this battle was difficult since Autumn hired a level 65 privateer minion :D I've said it 100 times and I'll say it again.. Thank you KI for adding minions to the crowns shop. Other than leveling with Autumn on my musketeer I've been catching up on farming Friar Sand for gold on my Witchdoctor. 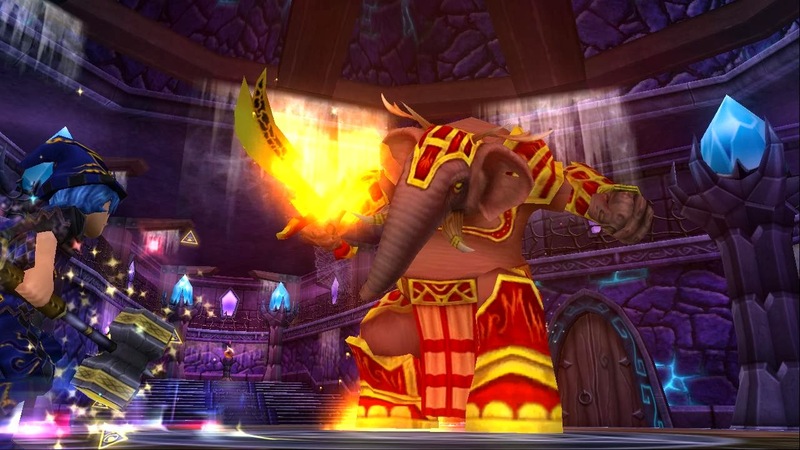 I have this feeling a world will release soon and I want to farm for gold to level my companions and buy everything I need before the next world. I think it's a great idea to prepare. Once you're done doing everything you need to do and the world is released you'll have no problem worrying about the things you didn't do before it was released. Other than leveling on my Swashbuckler that's all I've been doing lately. 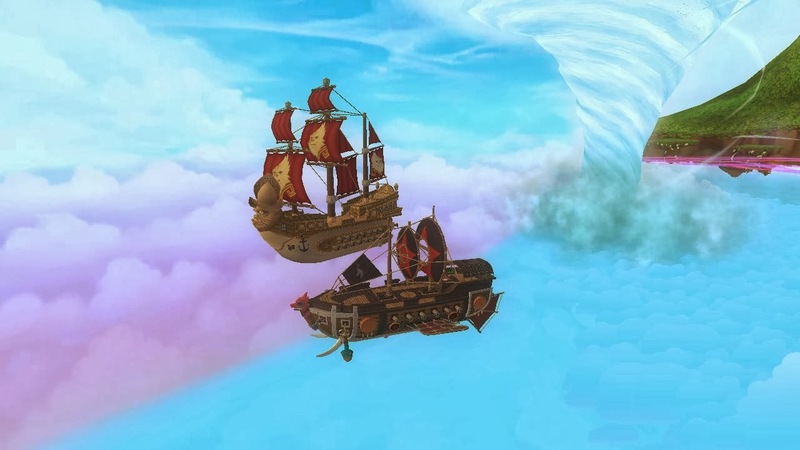 Have I told you I love Pirate101? I do. :P LOL. Anyways, I plan on making as many blogs as I can before next week and hopefully I can have an event or two along the way! No... I'm not quitting the game! I will be back and blogging and having plenty of events and contests. :) Thanks for reading everyone and make sure to come back later to check out a new Edward Cringle blog! Until then, I'll see you around the spiral. 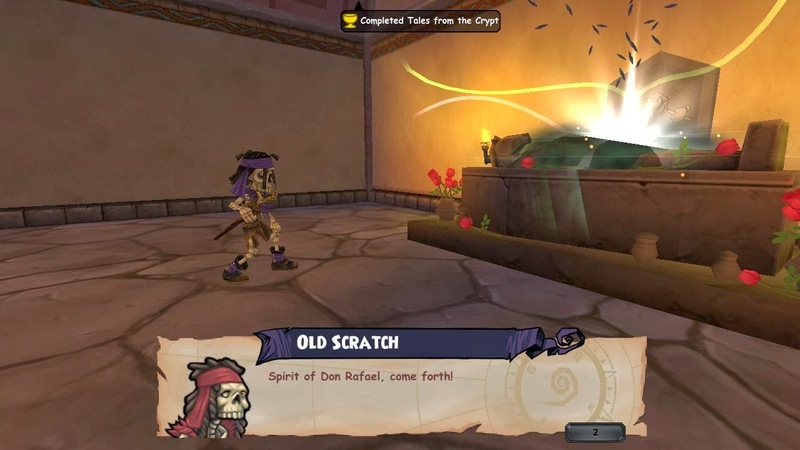 On my last main quest I had to find a way to enter Don Rafael's mausoleum because I needed to find out more information about Captain Blood's treasure. I had to have a key to enter the mausoleum so I sailed back to Santo Pollo skyway to ask Don Rodrigo if he had the key. I found out that the key was stolen by frogerales so I had to defeat them to get the key so I could enter the mausoleum. I collect the key of the mausoleum after defeating only one of the frogerale ships. I think they thought I was tough, who doesn't? I'm kidding. If you don't think I'm kidding then.. you'll see what happens later on in this blog post.. :P Okay.. where was I? Oh yeah.. After collecting the key I traveled back to Don Rafael's mausoleum and entered the dungeon. 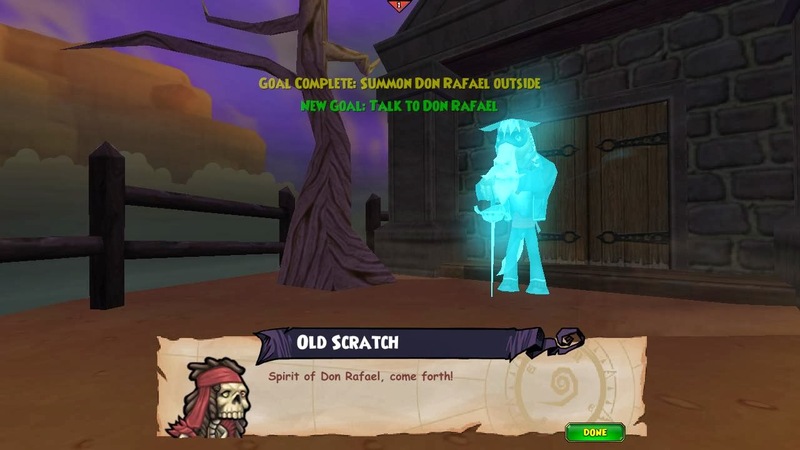 Once I entered the dungeon I found out I had to collect four items so Old Scratch could summon Don Rafael: Rafael's Cape, Mask, Sword and Photo Album. I had to open treasure chests to collect these items and each time I open the chests enemies tried to defeat me. The dungeon wasn't too difficult but I would tell advise you to have potions just in case one of your best companions end up dying in a battle. It wasn't too difficult for me, but don't know how it will be for you. After I was done collecting all of the items I had to summon Don Rafael and found out I needed to summon him outside of the dungeon. LEVEL UP! After I finished the dungeon and summoned Don Rafael, I leveled up to level 26! I've been level 25 for awhile and it was great to finally level up again. I always love leveling after I level up to see if I can level up again and that's exactly what I did. I continued talking.. and talking... and talking to Don Rafael and Tonka.. What did I talk about? Keep reading! I found out that Don Rafael was El Toro before he adopted Don Rodrigo and Don Rodrigo ended up being taught how to be El Toro. Don Rafael had a daughter, Carolina, but didn't teach her how to become El Toro since it was dangerous. After awhile Don Rodrigo and El Toro fell in love and they wanted to get married but Don Rafael said no. Don Rafael found out that El Toro (Don Rodrigo) was teaching Carolina how to fence and Rafael was mad once he found out. Don Rafael left after he found out and Carolina left Santo Pollo. Don Rafael wanted me to bring Carolina back to Don Rodrigo in Santo Pollo. Tonka was listening in the conversation and told me where Carolina was. Tonka heard a lot of pirates nickname Carolina, Mustang Sally and might be located on Flotsam in Skull Island. 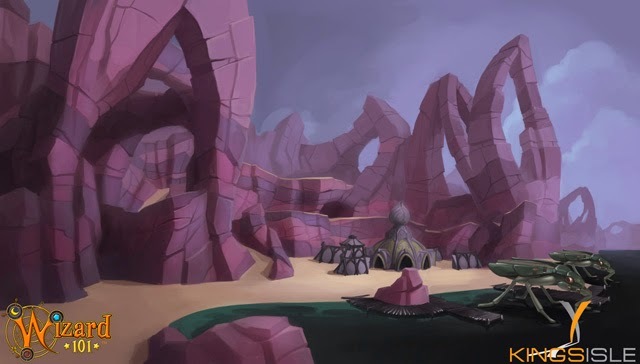 Don Rafael told me I needed to sail to Scorpion Rock to find his Signet Ring so I could give it to Carolina once I find her. Once I sailed to Scorpion Rock and entered the dungeon to find the Signet Ring I had to fight skeletal cowboys that took the ring. I found out that the ring was hidden deep in the cave and had to complete the dungeon a second time. It wasn't bad defeating the scorpions but it was a little annoying since I tried to walk around the first battle and couldn't since they caught me. Have I ever told you I hate scorpions? Well I do. :P I didn't hate them too much until I had to defeat the queen on the last battle. After I defeat her the first time I thought I was doing good and decided to collect yum since I was a little low. She ended up appearing again and I had to defeat her a second time! Here's my piece of advice to you if you're about to start this quest. Make sure you collect the chicken in this cave (part of Zeke's quest) and have potions ready. Once you're done defeating her and you collect the chests, run towards the place you need to go before the other scorpions catch you and make you join a battle to defeat them again. I'm happy this happened to me now so I could warn you on this blog post. :) After I was done defeating the scorpions I had to find the Signet Ring and ended up swimming and finding fish that had the ring! Once I entered I had to defeat the fish (can't think of their names since I've made this long post), and it had to be in 15 rounds. This fight wasn't bad at all, but one of my weaker companions ended up dying. Don't worry, I revived him by drinking a potion after I was done with the fight. I ended up defeating four of the fish in 5 rounds which was a lot quicker than I thought it would be. I thought I'd end up defeating the last one by round 13. 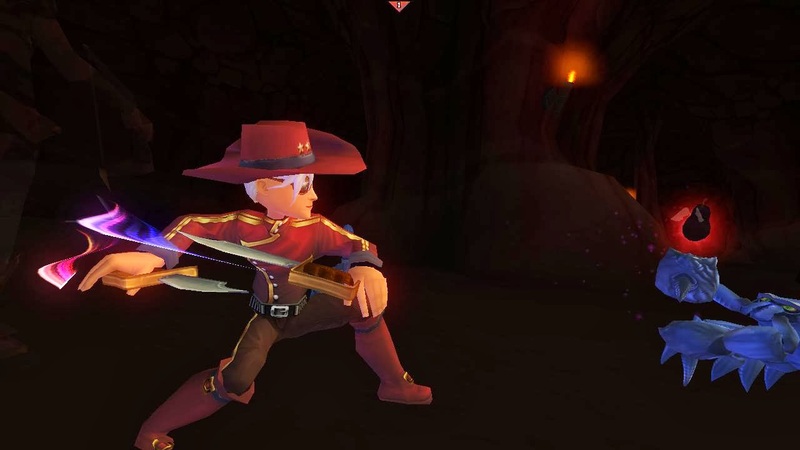 I guess I shouldn't underestimate how strong the Swashbuckler is. 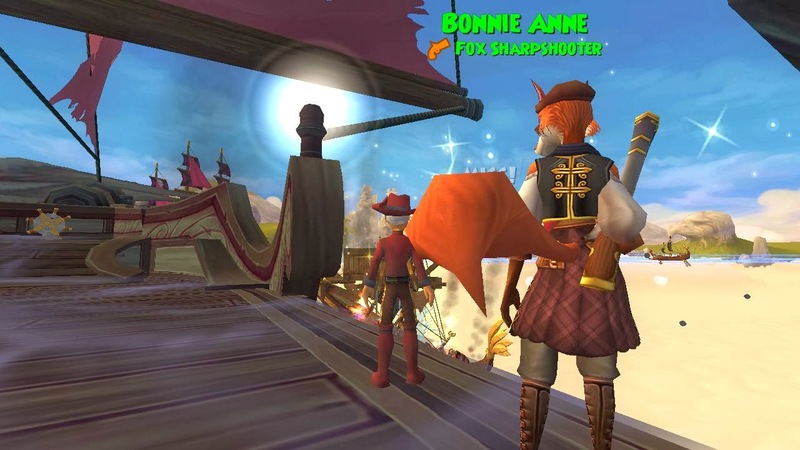 I did get low on health but luckily I had Bonnie to heal me (I love the Privateer School)! Are you tired of reading? Well I'm tired of blogging and I have A LOT more to blog about but didn't know this post would be this long. I love looking at the reactions options below, so if you got through reading this entire post, click on the face (:D). If you do I'll know you like long blogs and I'll make longer blogs in the future. Thanks for reading everyone. I kinda have a headache now but that's not bad. I love blogging and will do anything for the community! 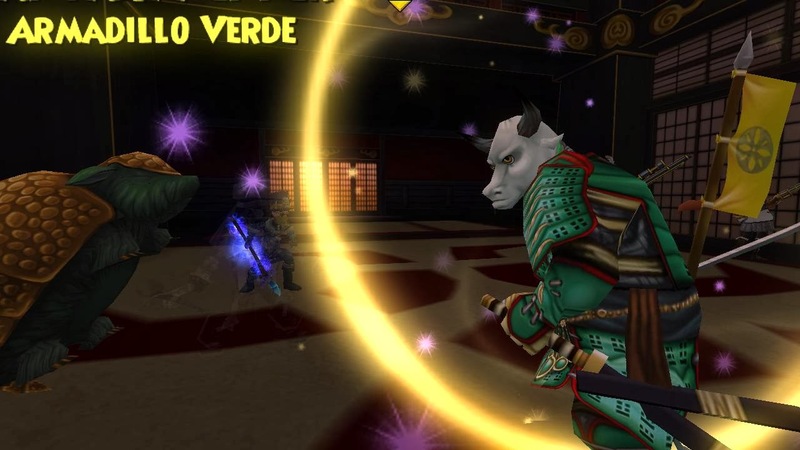 :) There's one last screenshot below and until my next blog (might make it tomorrow), I'll see you around the spiral! I've been so busy lately! I'm upset that I have been busy because in a few weeks I might not be blogging at all because I'll be on vacation. It's not going to be my first vacation but it'll be my first one out of my state! Lol I know that's crazy because of how old I am, but I can't wait! 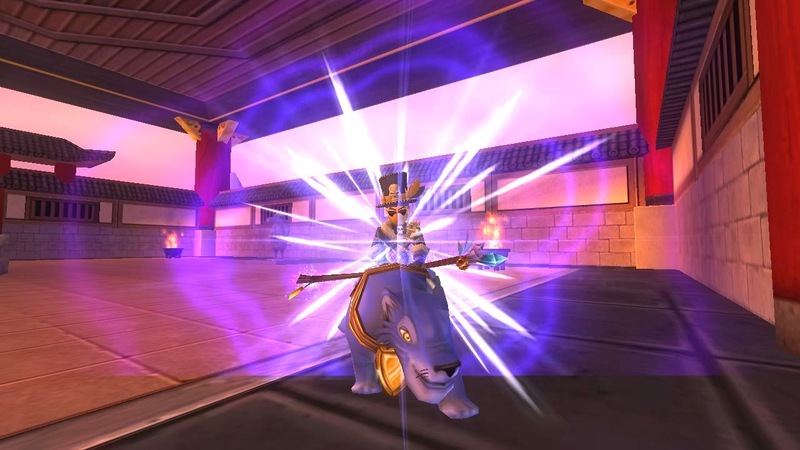 Last night I had a break and got to go attend Autumn Walker's NXP Event. I can't believe how many people there were two hours after the event started. I was busy that afternoon and showed up around 7:00 my time and there were still pirates there. I surprised Autumn and ported to her pirate ship since I had time to come to her party. 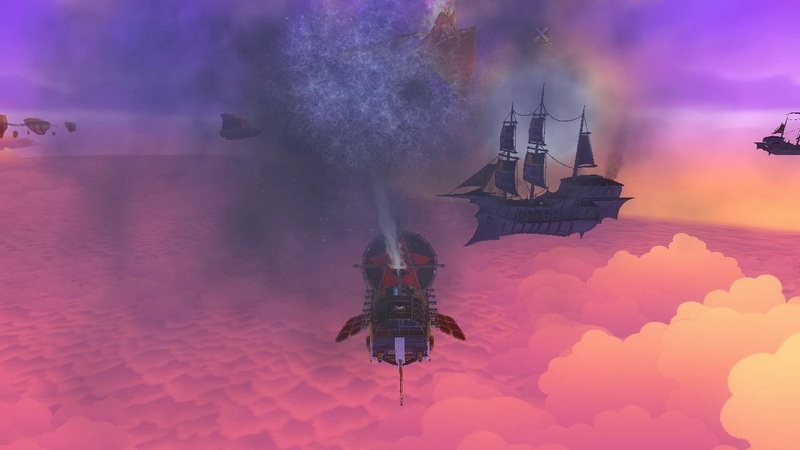 I really wish I could have been there when there were a lot more pirate ships, I heard a lot of people were there and everyone had lag. You know it's a party when that happens! I hope when I have my first event something like that happens. :D I think Autumn is great at hosting events like this and can't wait until her next one. I just hope her next party isn't when I'm gone. 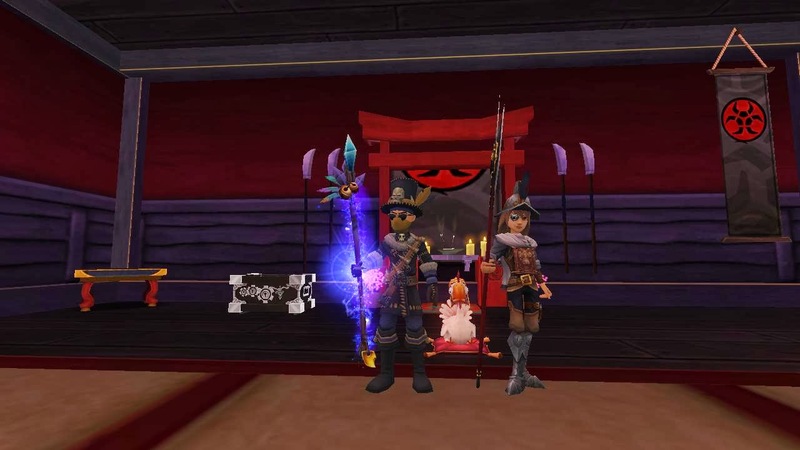 :D Anyways, thanks Autumn for the event and I'm happy I could level from 26 to 28 by attending your event with my Swashbuckler, Edward Cringle. Yeah, you can gain nautical experience from helping clear tokens on a ship (or not clearing them, clearing them helps the ship captain)! You don't gain as much nautical experience when you are on a ship but it sure does help if you only want to talk. Well, that's it for today's post. I promise I'll have more leveling posts soon! 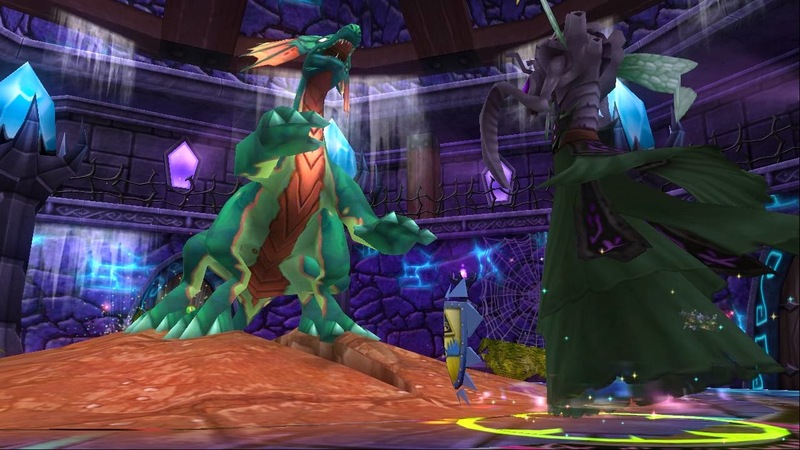 I had to talk to so many people that I had to take at least 20 pictures of the dialog after the last dungeon. After I read through all of the dialog, I'll publish the new blog post. Thanks for reading! Oh... I have news... AUTUMN WALKER IS A GHOST! I'm back again today to make a swashbuckling blog post. :D I made one yesterday and decided to make another today since I love leveling my swashbuckler. I know, I know.. I need to take a break sometime but I have that planned for the beginning of March.. More on that later! For now I plan to level as much as possible and make as many blog posts and soon have events to kick off the end of the month before going on my first Vacation away from my state! Edward, why haven't you been on vacation?! Well, I have an answer below... Okay maybe not, well you won't have to ask me that in a few weeks since I'll be back. It won't be a long vacation but like I said.. I'll have more on that later. Yesterday I quest through the rest of the dungeon I was in after defeating English Bill and had to talk to Tonka to find out any information about Captain Gunn. English Bill kidnapped Tonka to find out more information about Captain Gunn (or Blood), but couldn't find any information out. He decided to find out more information about El Toro and was going to summon Don Rafael to find out more information about the Captain. After I found out that information, I was going to enter Don Rafael's mausoleum but found out I needed a key to enter and the only person that might have a key is Don Rodrigo. 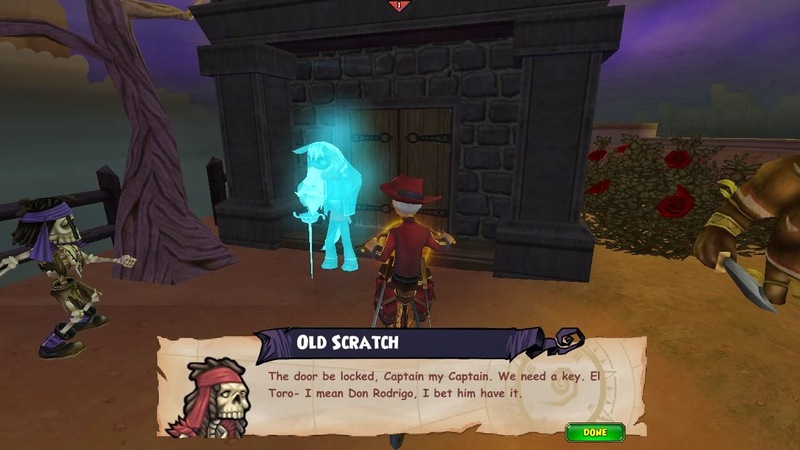 I sailed to Santo Pollo Skyway to see if Don has the key only to find out that the key was stolen by Frogerales. I had to sink one of their ships to find the key (they were scared and gave it up after the first battle, I think). I ended my blog post yesterday because I didn't have anything else to blog about, but I do now! Today I entered Don Rafael's Mausoleum so I could summon him but found I needed to do much more than only summon him.. I ended up having to open four chests. 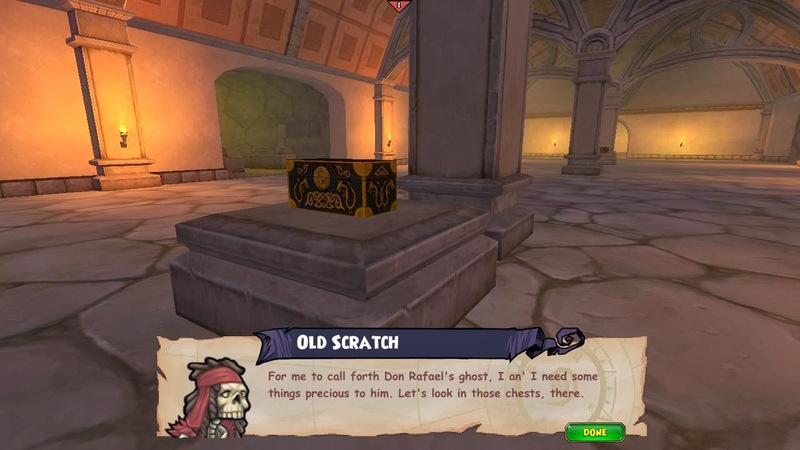 Each chest included something I needed for Old Scratch to use to summon Don Rafael. I needed to collect Rafael's Cape, Mask, Sword and Photo Album. Each time I collected something I ended up having to fight enemies that were protecting the items I needed to collect by opening the chests. I'm going to tell you the truth, the first few fights were EASY but as soon as I got to the last fight I knew something would go wrong since it was 4 against the three of us, myself and two of my companions. One of my companions ended up dying but I was able to revive them after defeating them since I had a potion. One good thing about this dungeon is that there's yum floating around in the dungeon so you don't have to worry if you'll have enough health for the next battle. OH, I also wanted to tell you I didn't need to summon a minion with this fight. I knew I was able to complete the dungeon without any trouble. After I collected all of the items we needed to summon Rafael, we summoned him! That's where I'm going to end the post today, but I will include one last screenshot. I'll see you around the spiral. :D (I'm tired so I'm sorry if you see any mistakes on this post LOL). I apologize for not posting the past few days. I've been busy lately and couldn't log on to quest, so I couldn't make a blog post. I decided to level a little bit today since I had time and I have time to publish a post too! I think I'm starting to remember where I am on the game and that's great. 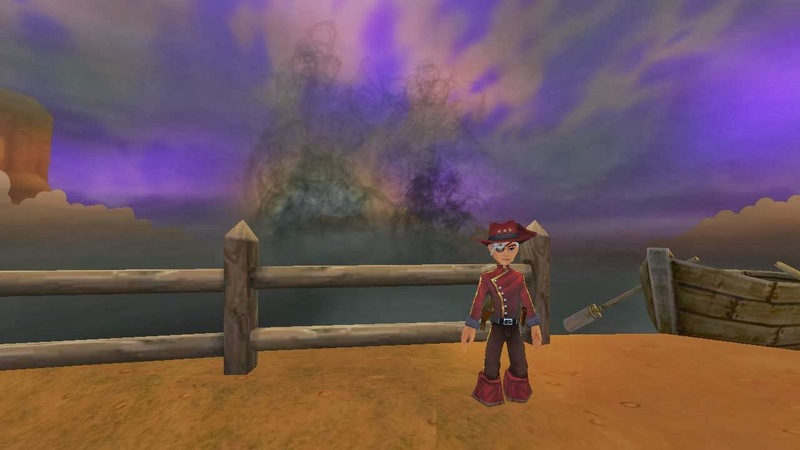 I think the posts are confusing when I don't know where I am when I'm questing and don't think they will be like that since I do know where I am on questing and soon I'll enter a new world which will feel like a new beginning! Wow, I love the screenshot above.. 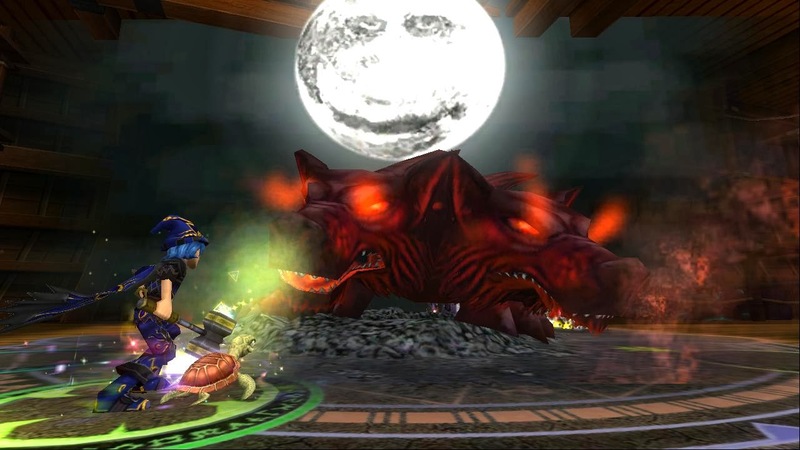 I think it's the best screenshot I've taken on Wizard101! Well I don't really know if it's the best one since I have taken thousands of screenshots of the game and I have published most of the screenshots on this blog. Let me know. :P Okay, before I begin on what I did today, I'm going to tell you what I did a few days ago on the game. The last time I quest on the game, I had to complete a quest for Umlilo and find out if the Overseer (the boss I had to defeat) knew where I could find Prince Tiziri. 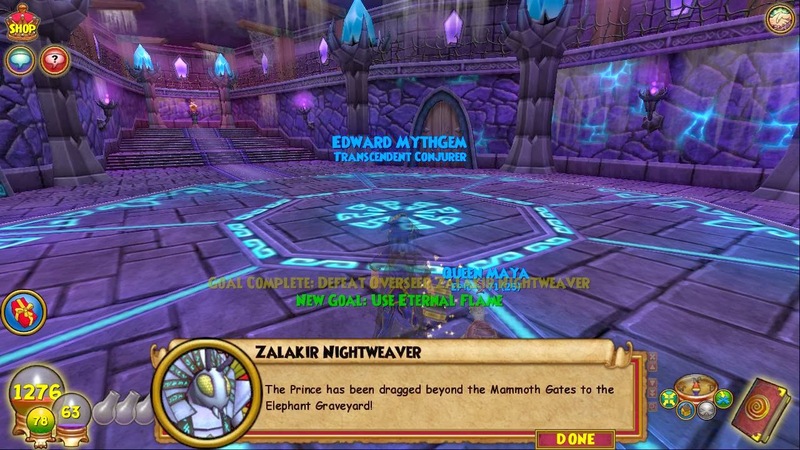 After I defeat the Overseer I found out that the Prince was dragged by Morganthe's minions to the Elephant Graveyard. After I collected the eternal flame and found out everything I needed to know I went back to Umlilo. I ended up using the flame I collected to get rid of the barrier that was holding Umlilo. I told him the news about the Elephant Graveyard but he said he didn't know how to find the Graveyard. Umlilo then told me that a captain of a nearby barge, Aksil Blacktrunk, might know a way to the Elephant Graveyard. Umlilo told me to find out if Aksil knew how to get to the Elephant and then to destroy the boiler that keeps the barge running with part of the eternal flame. I knew he was going to fight me if I did something like that to his barge and to my surprise I was right! :P I had a little bit of a problem since he kept getting critical on Orthrus but I ended up getting critical when I cast fairy and that healed me 1,000 health points each time. I believe I healed two times and got critical on both spells I cast. I was lucky! I destroyed his minion after a few rounds so there's nothing really talk about that. 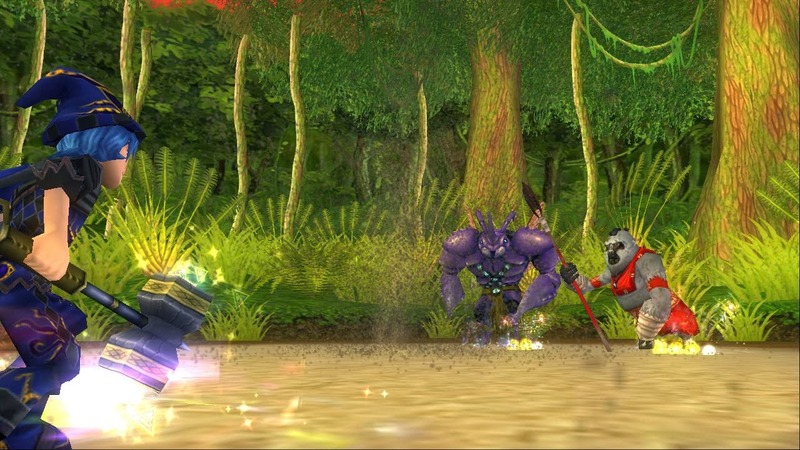 The boss was myth so I had to use converts before I cast my spells but it wasn't as difficult as the gorilla fights. Speaking of which, did I tell you they made me join their battle? Yeah.. I fled, there's no way I would spend that much time fighting a fight when I could be blogging! :D After I was done defeating Aksil, he told me where I could find the Elephant Graveyard and I destroyed his boiler so the barge couldn't move anymore. I don't think I'm mean because he was the one using Orthrus on me so I think we can call it even. :D Okay, thanks for reading everyone. I'll try to be back tomorrow with a new blog post. Until then, I'll see you around the spiral! I'm done... No... not with blogging. Why would you think something like that? 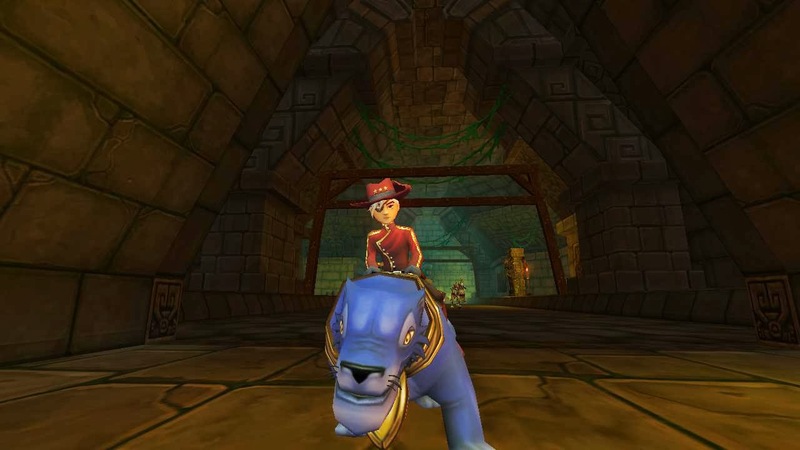 I love Pirate101! 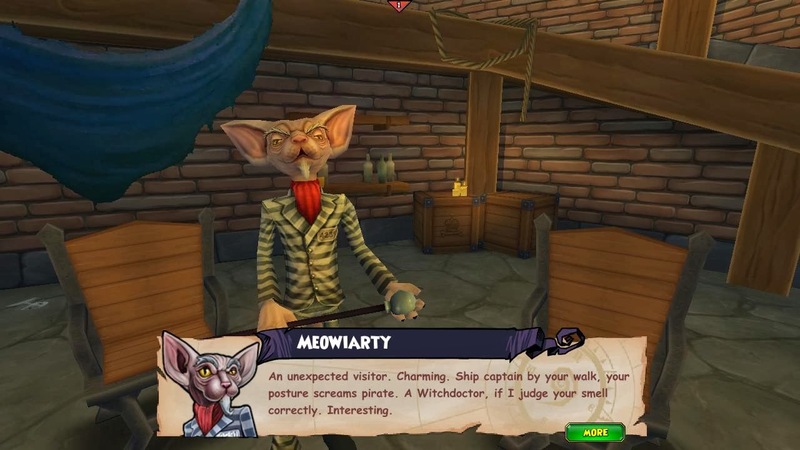 I love Pirate101 so much that I finished the last part of the main game quests on my witchdoctor. 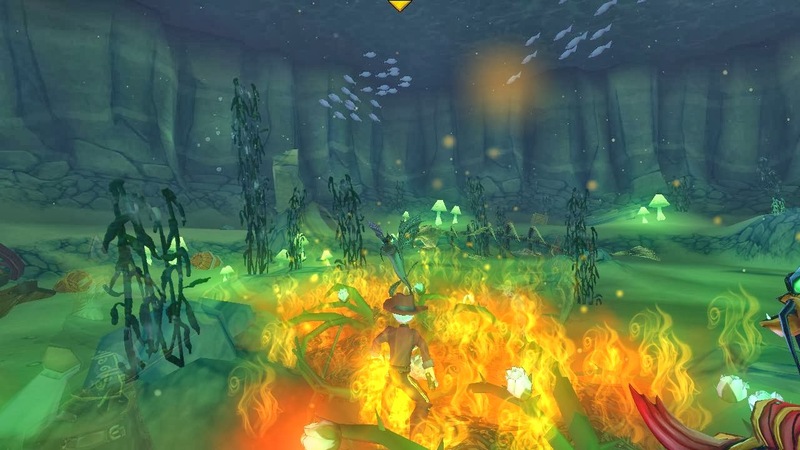 I think it's bad it took me that long to finish the game but I did have computer issues and lag and I really didn't feel like questing at all. That's why you probably are seeing a lot of blog posts lately because I have a new computer and I can finally level on the game and blog about what I've been up to on the game! I logged on the game yesterday to see which quest I left off on my witchdoctor and found out I left off on finding my way to Medea to get golden apples so I could defeat the Medusa. Is it bad I mix the names up and though Medea was really The Medusa? I leveled up my companions so much and trained for all of the spells/attacks I could learn before entering that dungeon. I was worried I would have to fight Medusa but I was wrong. I only had to defeat Medea for her golden apples. After defeating her in her dungeon she ended up putting a curse on me and that curse could kill me if I didn't do what she said. I told her that I was there to get her golden apples so I could defeat the Medusa and she actually gave me the golden apples since she hates Medusa. She hates both of us, she could kill me with the curse anytime she wants to... Or will she? 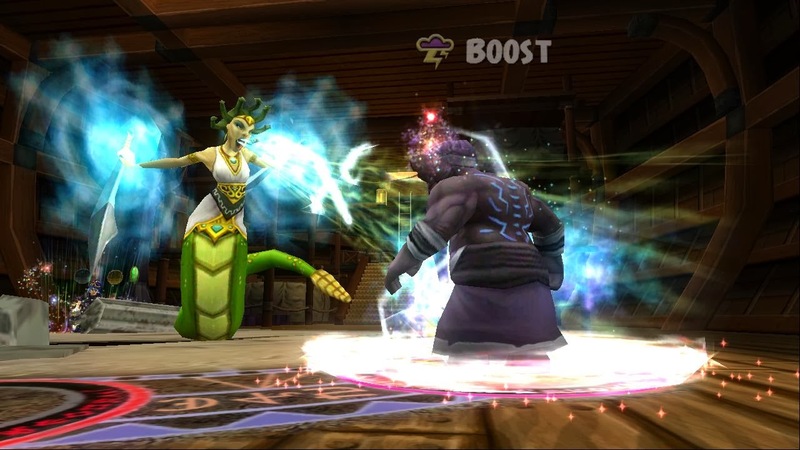 She told me that if I brought back a professor from Ravenwood Academy (Wizard101) that has been turned into stone from Medusa that she'll lift my curse. He could teach her more magic and that's why she wants me to rescue him. You know what's confusing? 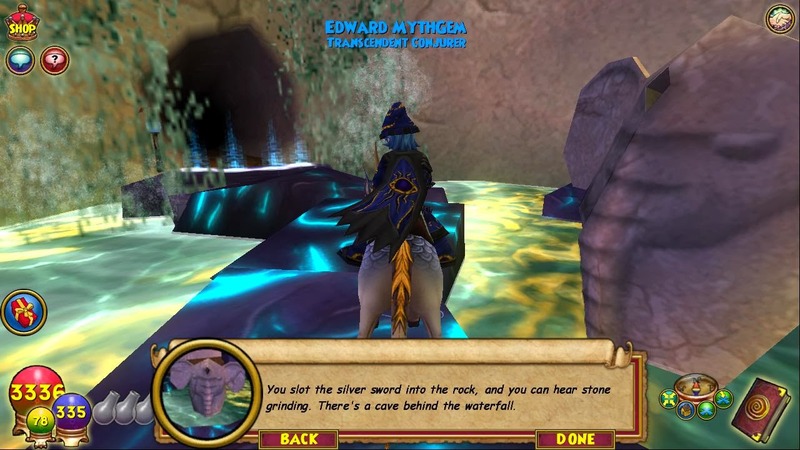 I don't remember the balance professor in Ravenwood being turned to stone... I'm thinking that's the reason he stop training balance wizard spells and I will stop being a wizard now! I BE A PIRATE!! After I talk to Medea I had to sail to Illinois to defeat The Medusa. I noticed there were many statues that were stone but once I entered the dungeon, there were SNAKES... 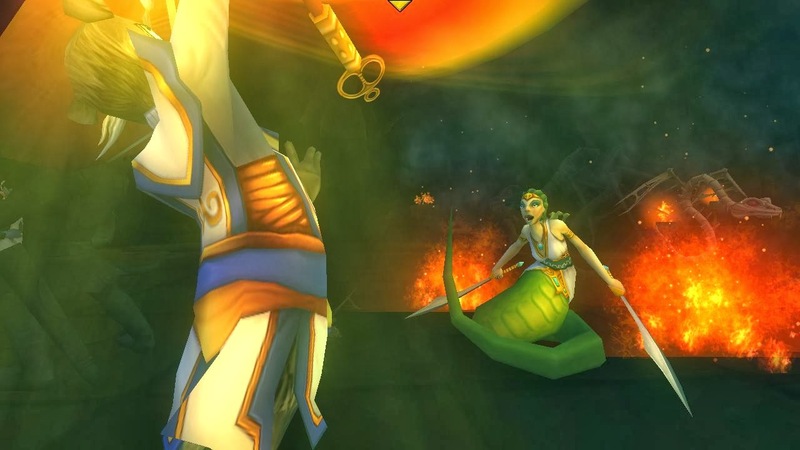 I know, I know.. Medusa is a snake but I really don't like snakes! I think that's the reason I ended up defeating the first round of the dungeon. Oh... I forgot to tell you what the golden apples were for! The golden apples helped us enter the dungeon by listening instead of seeing our way around. If we look at Medusa, we'd turn into stone and we sure didn't want that to happen and that's why I had to talk to Medea to get the golden apples so we could defeat the Medusa. After defeating the first round of snakes, we found our way to Medusa and she was shocked (proof? Look at the image above!). Okay.. she wasn't shocked, she wanted to turn us to stone but she didn't. Once we entered the battle she was shocked because of how strong we were.. I think. 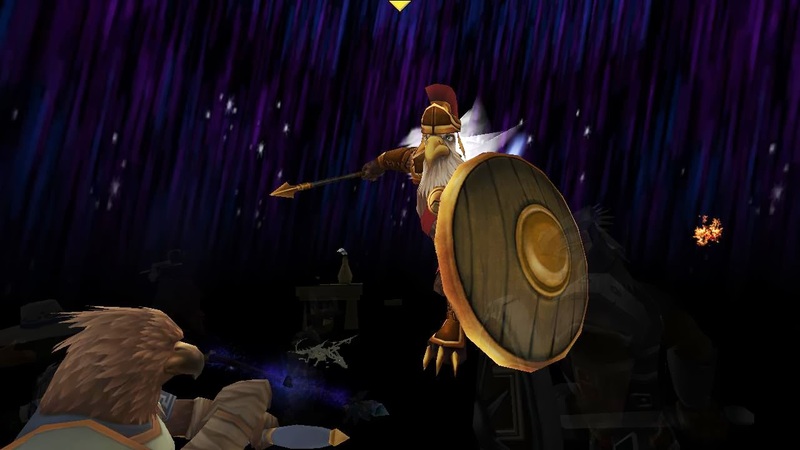 I don't think the battle was as hard as I thought it would be and I'm happy it wasn't because I was tired that day and didn't want to be in the dungeon forever.. After defeating Medusa I had to take a break since I was tired and needed to wake up! After I defeated the Medusa and collecting the Balance Professor that had been turned into statue from Medusa (I'm surprised Merle didn't save him, oh well I guess), she lifted the curse from me. I'm happy she did because this met I got to take another epic screenshot (see image above). Now let me catch you up on why I had to talk to Medea and then defeat Medusa.. Medea help me with the golden apples to defeat Medusa so I could collect Ulysses bow so he can reclaim his throne. I don't know how much of you know what I'm talking about so I'll explain a little bit. Bad guys in his community thought he was killed and took over his throne and he's really not dead! He plans to take it back but he know they won't give it up easy because the bad guy wants to marry his wife to gain the throne. Medusa ended up stealing his bow and he needs it back. I ended up getting it back and it was time to sail back to the Ithaca to the Humble Cave to give it back to him. Medea was nice enough to give me a teleport there which was actually behind me. When taking the picture I back up too much and ended up teleporting there. LOL. I ended up having to defeat everyone that was against Ulysses and it was a pretty difficult fight since the eagles were strong. They almost killed most of my companions but I was lucky enough to have enough crowns to buy a minion. If you have crowns and you need help with a fight, you can either ask your friends for help or if they can't or they're not online just buy a minion from the crowns shop. They help so much and I'm happy they're there. 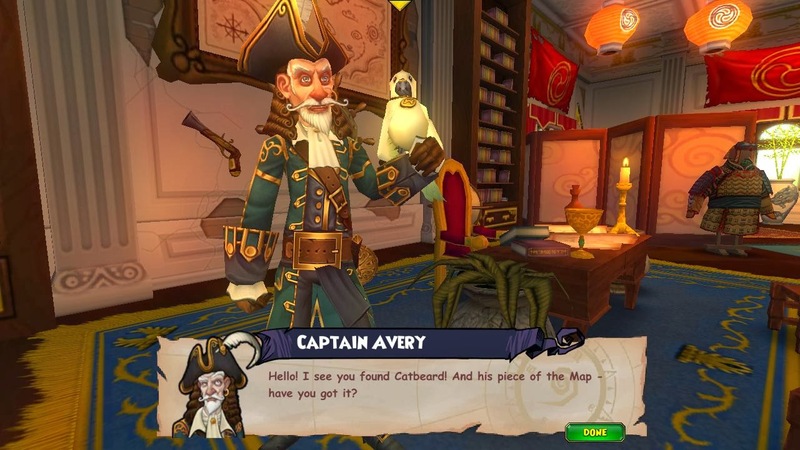 I'm not just saying that because Pirate101 is the best game in the world created by the best game team in the world. They're really helpful and I'm just trying to help you help yourself :P. Okay.. don't really know if anyone is still reading or not but I actually have more to this blog post so I hope you do continue to read! I'm not done until I'm done and I have quite a bit to blog. If you're still reading, thank you! You must really love my blog posts and that really makes me happy that you do. :) Okay time to continue.. What happened after Ulysses regained this throne?? After Ulysses defeated the enemies that were planning on taking his throne, he ended up giving us what we really needed, Argo's Piece of Map for El Dorado! We're at 3 and the Armada is at two pieces of the map. I think that means we'll have to defeat the Armada to find out where those two pieces of the maps are. 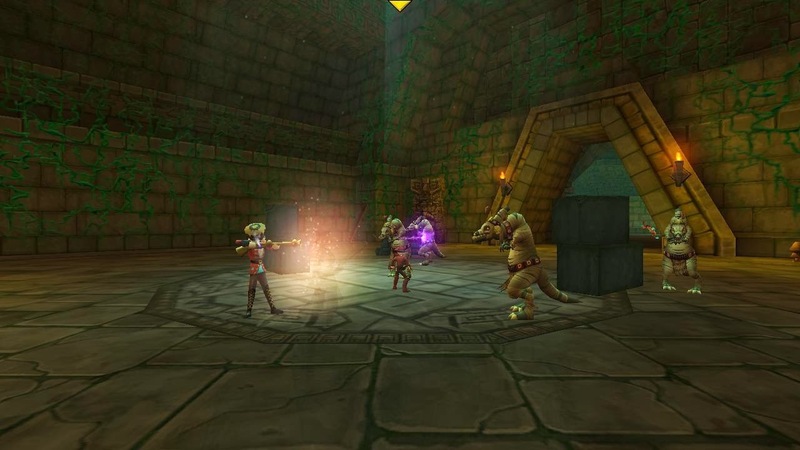 I really can't wait to make it to El Dorado... way too excited but since this post is very long I think I should continue because I don't want any of you getting bored. I am only making the longest blog post I've ever made on this blog, longer than any post I've made on this blog! 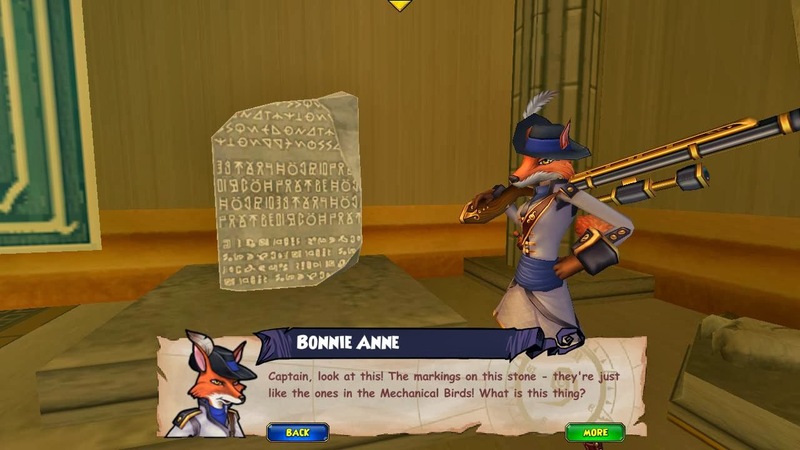 Okay.. x continues blogging x.. After getting the pieces of maps we noticed a Stone that had markings on it just like the markings on all of the mechanical birds scattered through all of the worlds on Pirate101. Ulysses told us that it's the Rosetta Stone. We had to take it back to Marleybone to Admiralty to see if he knew what the markings on the stone said. After sailing back to Marleybone and talking to Admiral Doggett and a professor to see if they knew what the markings on the stone and they didn't know. They ended up sending me to The Glass House (Prison) to figure out if Meowiarty knew what the symbols meant. I just wanted to tell you all I ended up locking him up in the prison about uh.. 7-8 times? Yeah.. so, SHHH! don't tell him! Meowiarty ended up telling me what the markings meant on the stone and there was a message on it from The Toy Maker that told me he knew how to defeat Kane and that he wanted me to sail back to Valencia to find him. I needed to find Caligostro, G. After Meowiarty told me what the markings translated to I ended up traveling back to Mycroft Bones and he ended up promoting me to Royal Majesty's Secret Service from the Royal Navy.. Will the be yum included?? No?? Okay. 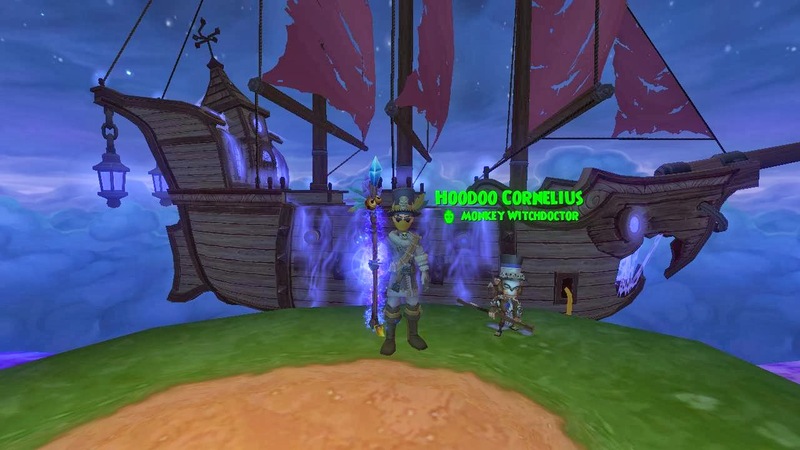 I ended up completing the mission but had to sail back to Skull Island to talk to Avery because I needed help finding a way to sneak into Valencia. TO BE CONTINUED! That's the message I received after talking to him... Yeah... Like I said, I'm done but only for now. 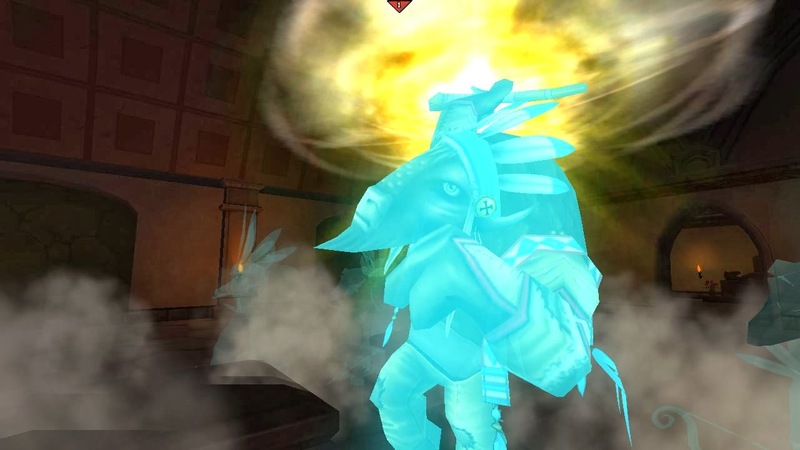 Thanks for reading the longest post I've ever made on this blog post and I'll let you know how everything goes my Witchdoctor when the next world when it's released. Thanks again for reading and if you made it to the end of this post, make sure to click on one of the reactions below. And know that you're the coolest pirate in the skyway if you read all the way to the end of this post.. Okay I'm done and I'm ready to rest! See y'all in a few years.. KIDDING. I'll be back tomorrow. Before I talk about what I did today, I would like to talk about what I did on my last post to refresh your memories. 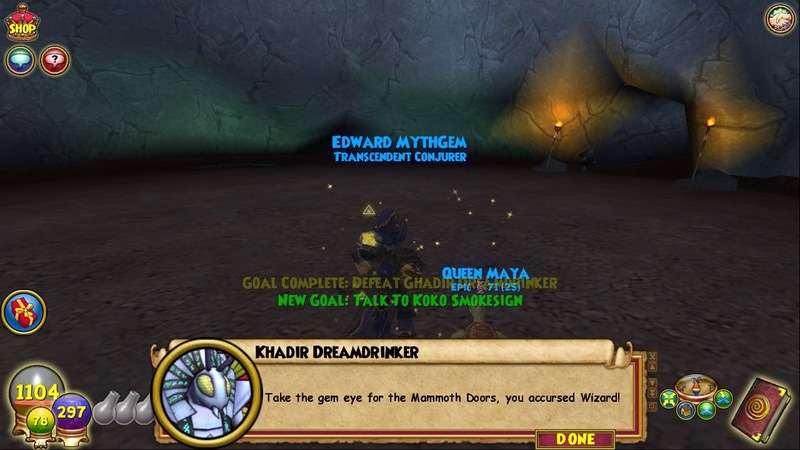 I know I don't really know exactly what I'm doing since I haven't quest on my myth wizard since October (other than the past few days). I promise we'll all know once I get used to questing on the game again. 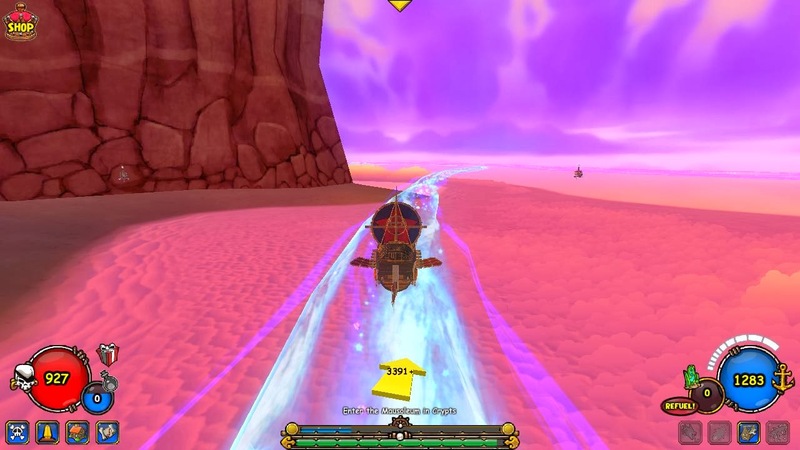 I think I'm starting to figure out where I am in Zafaria and why I'm here. Anyways, on my last blog I had to help Umlilo defeat Blackback soldiers and then free Flameingos because the Gorillas were stealing their magic. After I freed all of the flameingos I went back, and felt like saying sailed back but didn't, to Umlilo and told him about Prince Tiziri.. I think I'm starting to remember but really don't.. I ended up having to defeat a boss, The Overseer, to find out if he knows where I could find the Prince. Umlilo also told me that if I find an Eternal Flame to take it. After I ended up defeating him, I did find an eternal flame for Umlilo. Okay.. I really don't know about this post.. I usually have posts that don't make sense to myself and don't really know if they make sense to you or not. If they don't, please let me know! 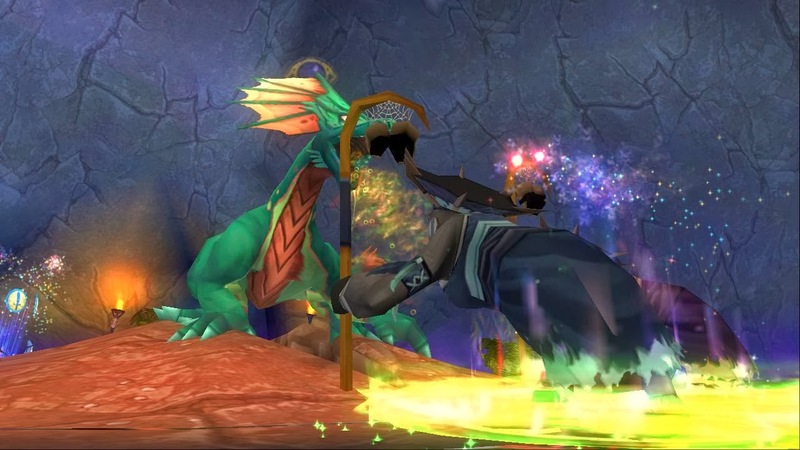 I'm planning on watching a walkthrough of Zafaria to find out why I'm here but I'm hoping soon I get my wizard101 posts back on a track. :) I hope you're enjoying the posts I have been putting out lately. If you are, please let me know by clicking on the reactions below. They show me that you like the post. If you don't, I will find a way to make my posts a little better than they are now. Thank you for reading and I hope to see you around the spiral. I do plan on blogging everyday, so I'll see you tomorrow! Here's one last screenshot of the day.. :D (after reading that, things really should get back on track). 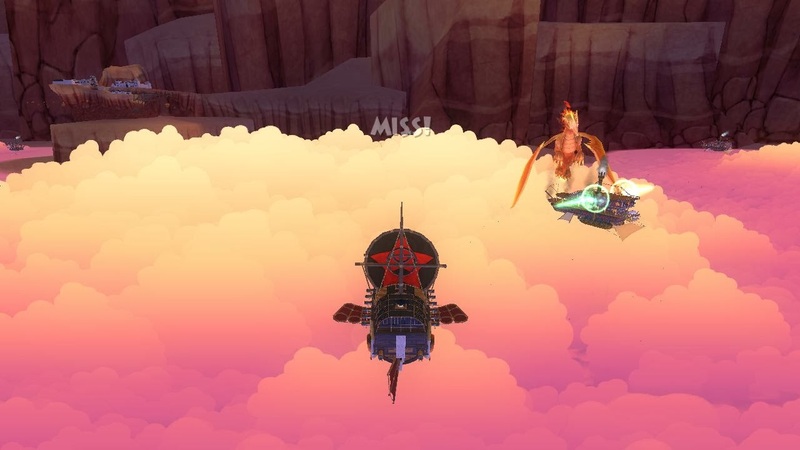 I'm sorry I didn't make a blog post yesterday, I was busy leveling on the game so I could have a post to publish today. I quest so much on the game yesterday and you'll see how much after this post is finished. I have so much to talk about today so get ready for a long blog post! I'm so happy I can level again on the game, even if it takes a long time. Before I start blogging about what I did yesterday, keep reading for a recap on what happened on my last blog post. 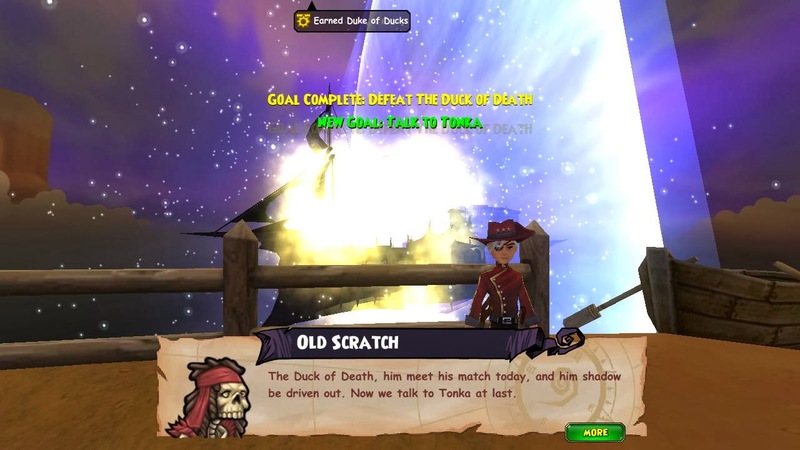 After I completed my Ship Quest, it was time to defeat English Bill once and for good. I entered the dungeon with my companions and ended up running into the Armada and English Bill. The armada fled because they were scared (this time I think it's true, I think Deacon knew I would defeat English Bill). I also noticed Tonka in the background. It wasn't time to talk yet, first I had to defeat English Bill since I had the silver bullets to defeat him. I couldn't believe this but we ended up turning into angels, I don't think the image above was really showing I was an angel because angels are supposed to be nice. I think I was so mad I had the halo on one of my swords and was hitting English Bill with the other. Could you blame me? He's caused a lot of damage and made me stay on a quest an entire month! I think it was time I get my payback.. I mean for Tonka! Gotta rescue since that's part of the quest... yeah.. I don't think this fight was difficult.. I ended up buying a privateer minion that was around my level from the crowns shop since my companions wasn't really doing good on health. After we were done defeating English Bill.. we had to defeat him a second time! The second fight was a lot easier than the first since we I had barrels I could shoot and explode. 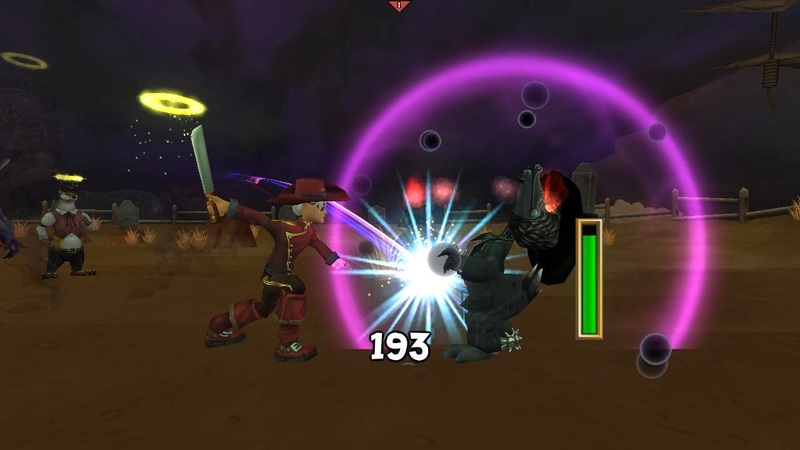 I don't think it was a difficult fight and I don't even think I spent crowns on a minion with this fight. It was pretty easy since I had the barrels and the right set of companions. 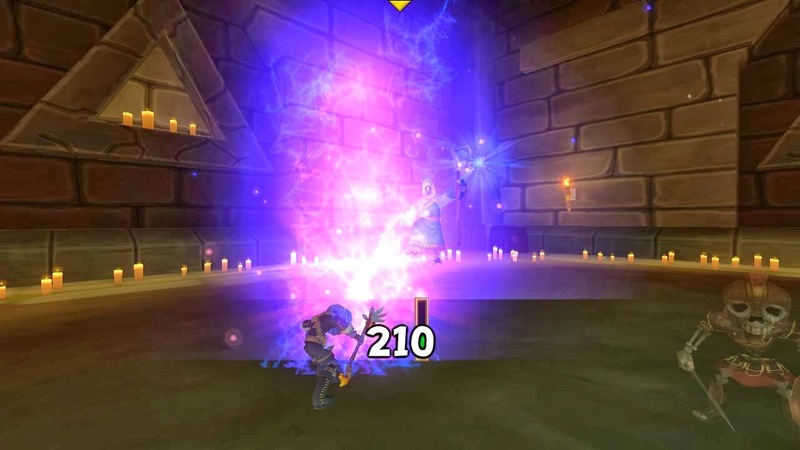 I am happy I didn't buy a minion for a fight that really didn't need one. I can save the crowns that I might have bought a minion with for a fight that's really difficult and I might or would need a minion. Have you ever ran out of crowns at the wrong time? I remember last year I kept buying minions for every fight, even fights I didn't need them for and I ended up running out of crowns and there was a fight I could have use a minion for and ended up dying a few times because I spent all of my crowns. If you don't usually use crowns: Be careful spending your crowns, you never know when you need them. You could use a potion that will help your talents for your pirate or end up buying something new that will be released to the crowns shop. That's my advice for the day! If you have a lot of crowns, ENJOY! I would still be careful. Okay, enough crowns talk. I wanted to tell you since this post is longer than it needs to be, I will finish it in a kinda part two post tomorrow or the next day. Until then, HAPPY VALENTINES DAY! Spread love around on this day, even if you don't have someone special (it should be like that everyday). I'll see you around the spiral, I hope you have a great day and weekend! I'm glad I escaped on time.. LOL, I think the shockwave made my feet sink into the ground??! Unless its quicksand!